Petey is a beautiful four- five year-old Staffordshire Bull Terrier that needs a loving home with someone who knows the breed and will take good care of him. He is neutered and all his shots are current including a three-year Rabies shot given in July 2010. 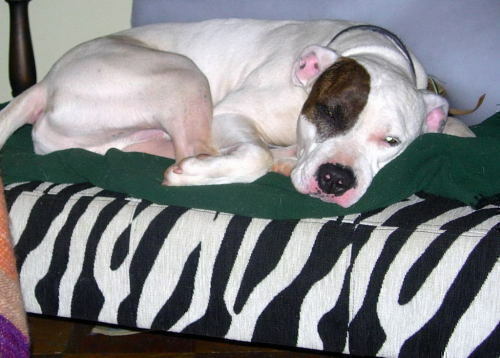 Petey loves to snuggle, ride in the car, take long walks and of course run and play. He is very fit and fast. He gets along with most other dogs and has done well with my Border Collie Lab; they are buddies. Petey is sweet and friendly with my guests, including my niece and nephew. He has done well at the vet and with house sitters; they love him. I do not have cats so I do not know how he would be with cats. 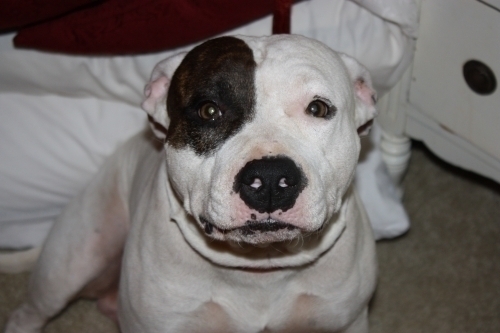 Petey was found at Lake Hefner in July 2009 while walking with my dogs and a friend. He approached us with friendly enthusiasm and after our walk he jumped in the van and came home with us. 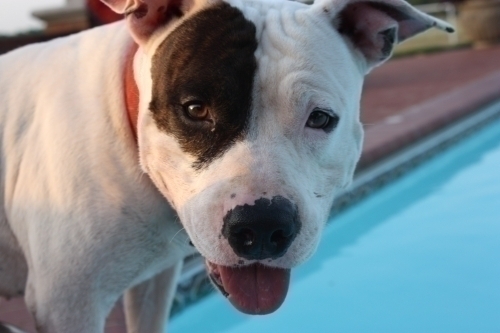 Petey has received two evaluations from professional trainers and private training. I have worked with him on leash training as well as multiple commands in the past year. My trainers recommend crate training as well as a safe and large covered pin when left outside. Petey can be energetic but mellows easily and takes direction well. We have enjoyed and loved Petey and with the right owner and home I know he will be a great dog. Petey is a courtesy listing and if one is interested in adopting Petey please click the link at the top of his bio to fill out an application.